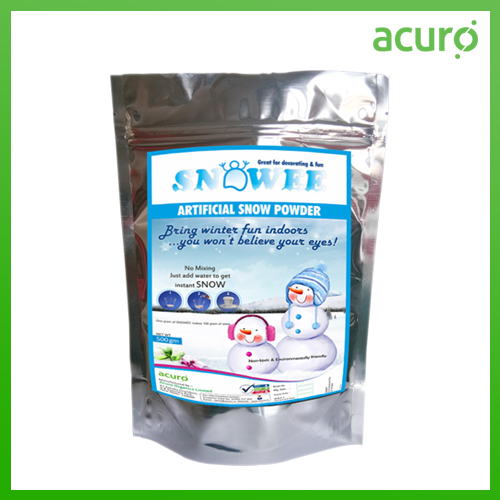 SNOWEE is an amazing super absorbent polymer that turns ordinary water into a fluffy substance that looks like real snow. A very small amount of powder makes a huge amount of perfect snow. In about 30 seconds, SNOWEE expands 100 times its original volume with the addition of water. SNOWEE is great for parties, displays, holidays, hobbies, and all kinds of fun! It is easy to use, safe, non-toxic, and environmentally friendly.